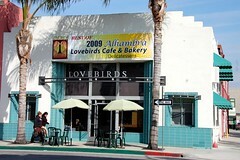 Lovebirds Cafe & Bakery is a local chain with six locations. 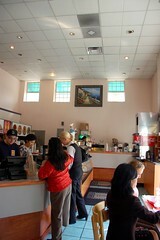 Everything is fresh and made to order. 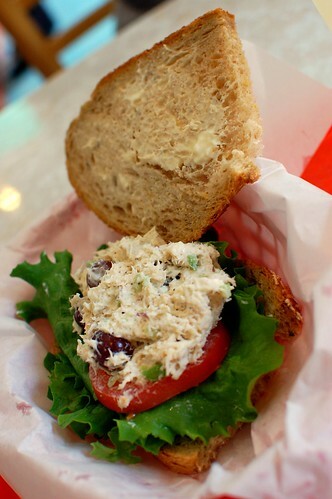 Chicken salad sandwich ($4.75 for half size), hot air fries ($1.95), classic Reuben ($6.45 for regular size). Half a sandwich is enough for me. The portions are rather generous. 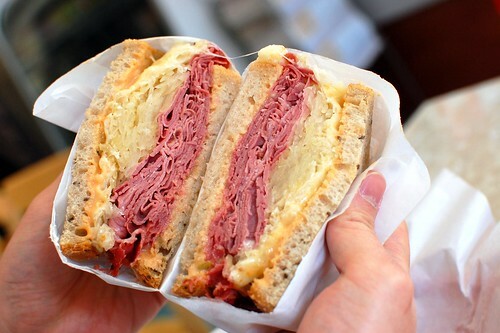 That Reuben looks fantastic. My favorite sandwich next to the BLT! hot damn that sammich is thick! mmm, i like lovebirds. 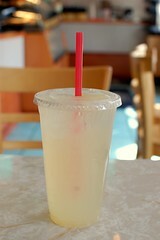 they just opened another one near the pasadena civic auditorium. Those look good. 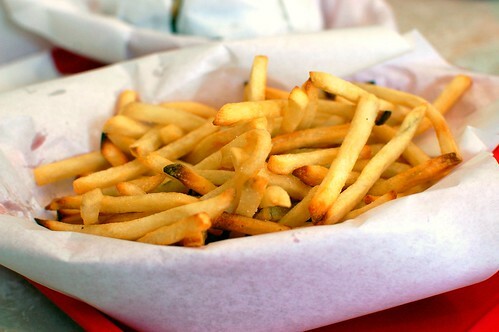 Are the fries really baked instead of fried? 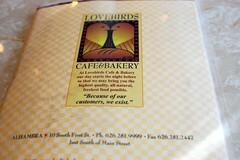 Guess I should add Lovebirds to my "to-try" list. Thanks!